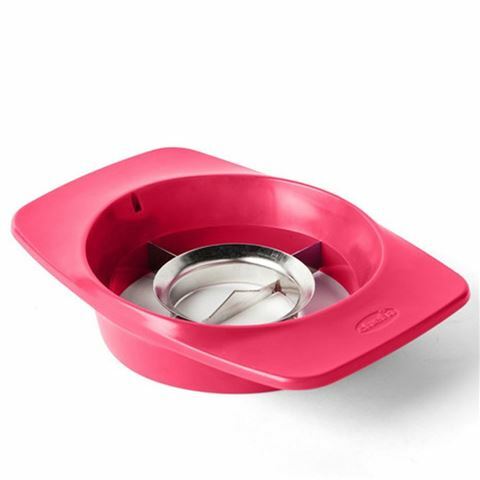 The Chef’N Slicester Pomegranate Prep Tool is the perfect way to get your pomegranates in eating condition. This multi-purpose tool features everything you need to prep your pomegranate, from a slicer to cut through the fruit’s circumference to a deseeder. So if you’re crazy about pomegranates, then you need to get this innovative item in your life. Features a sharpened stainless blade. Quickly slices and deseeds pomegranates. Rubber handle provides comfortable grip. Dimensions: 13cm (l) x 19cm (h) x 4cm (d).